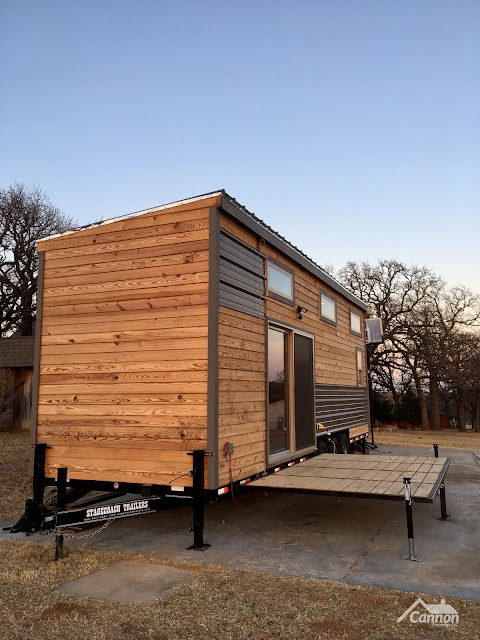 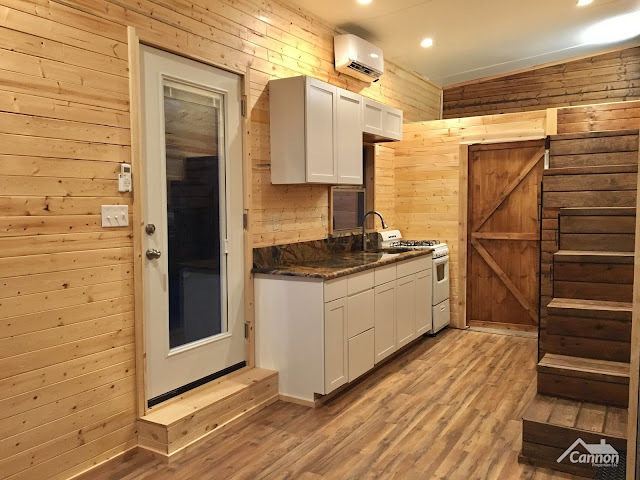 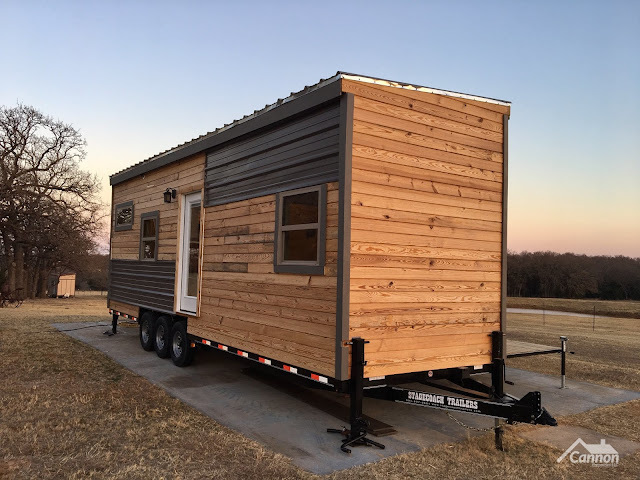 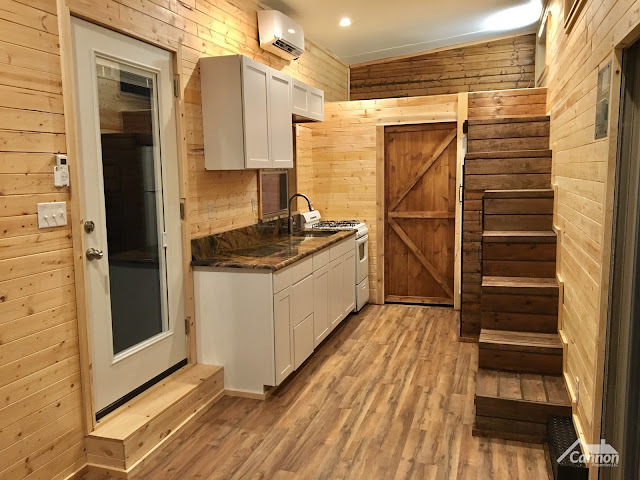 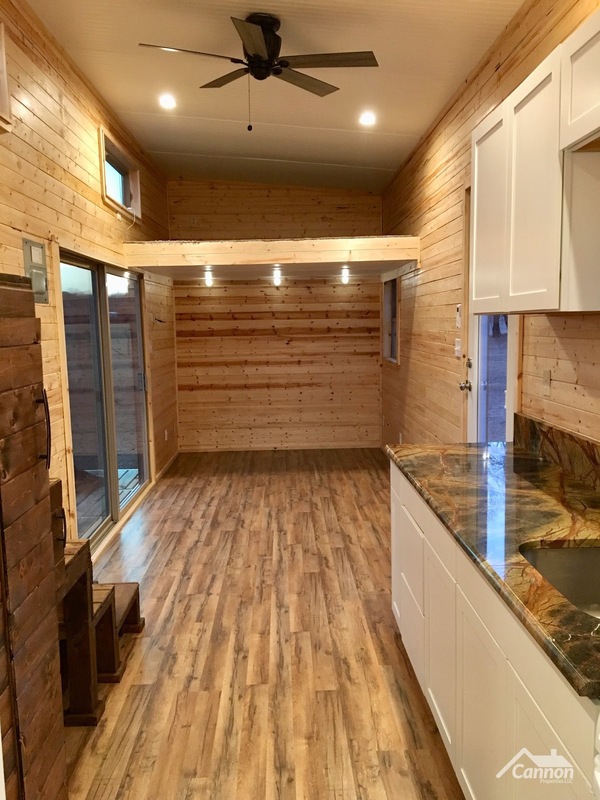 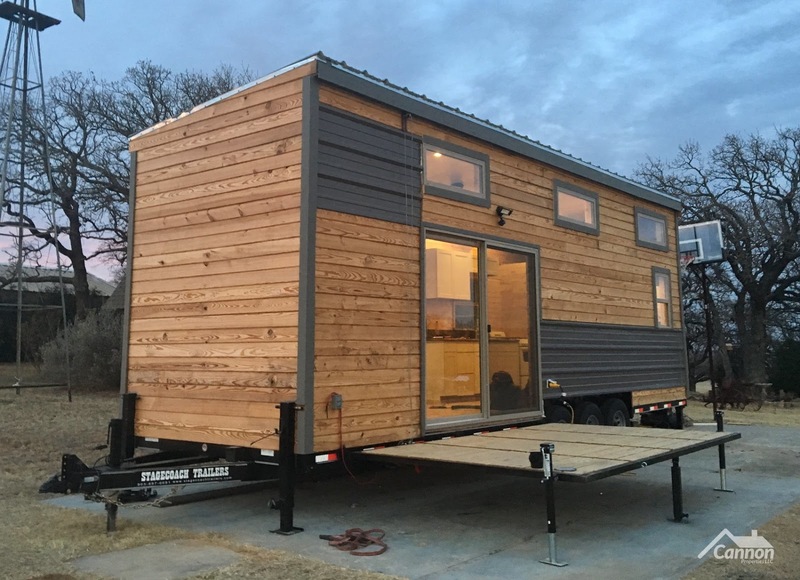 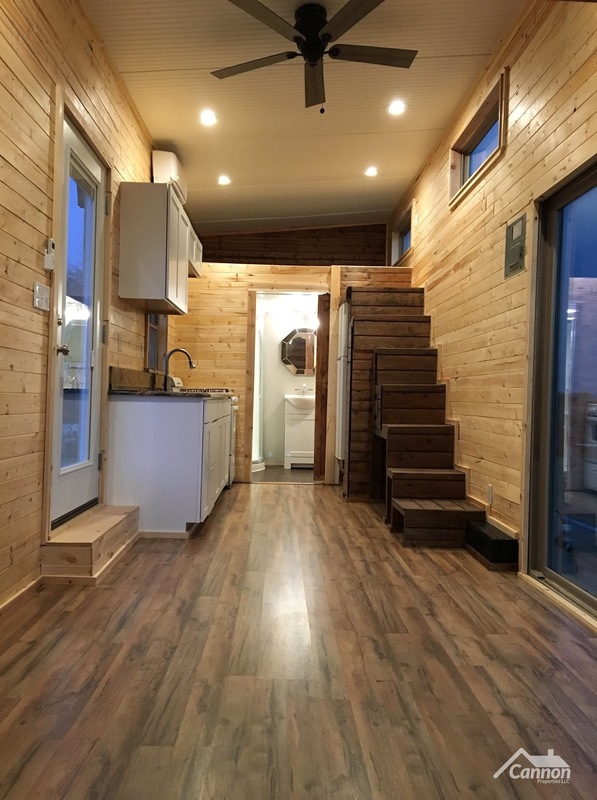 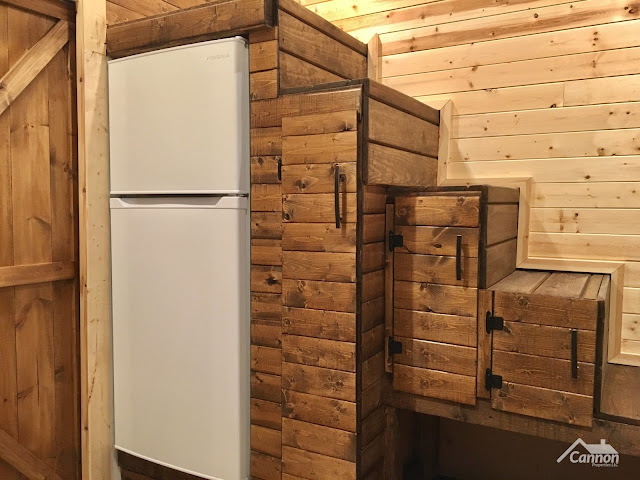 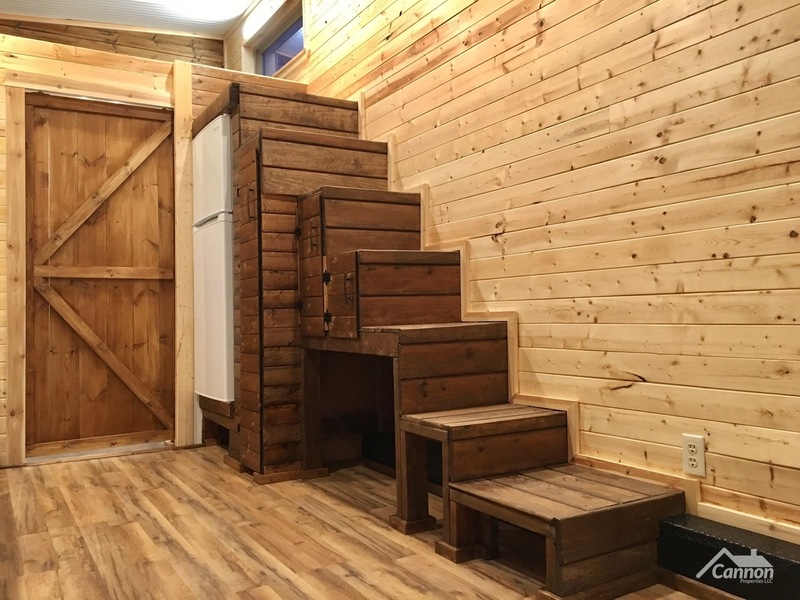 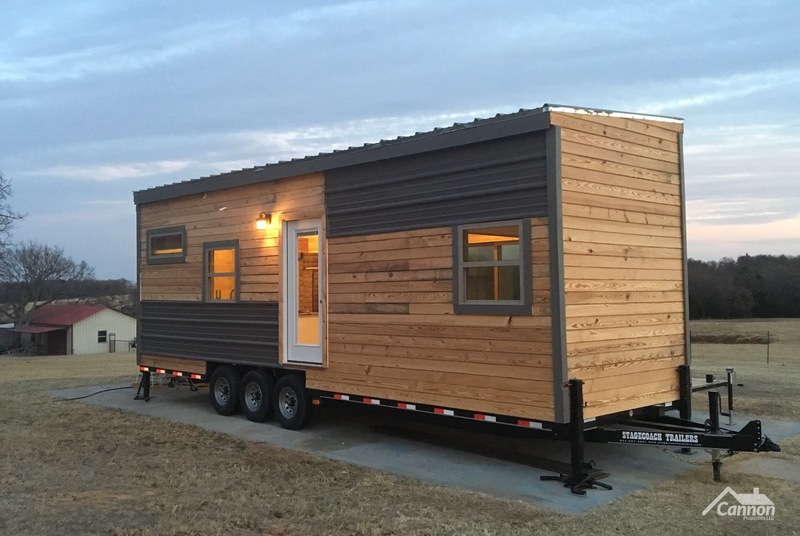 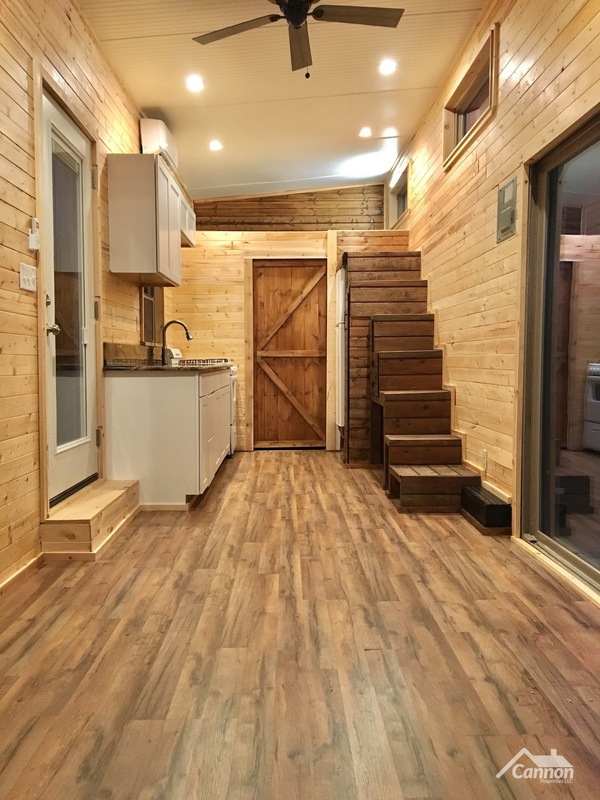 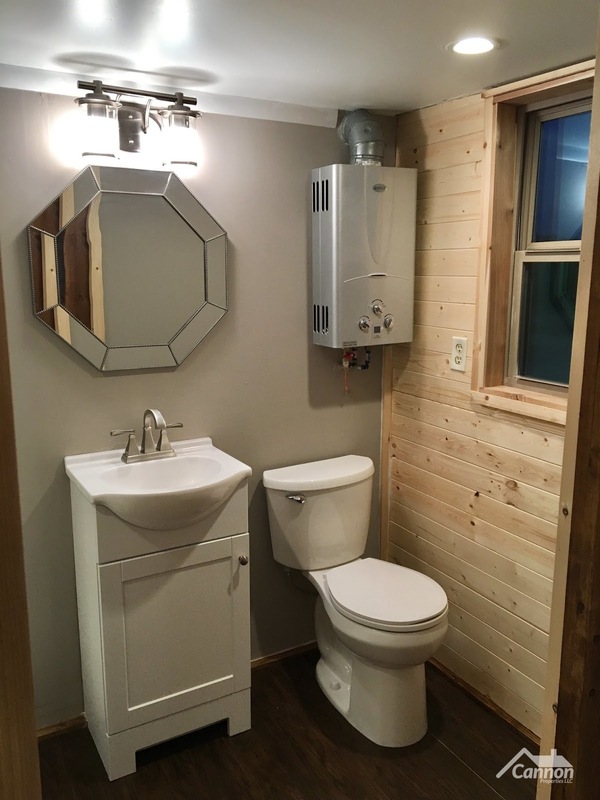 From Cannon Properties is this beautiful, brand new custom tiny house on wheels. 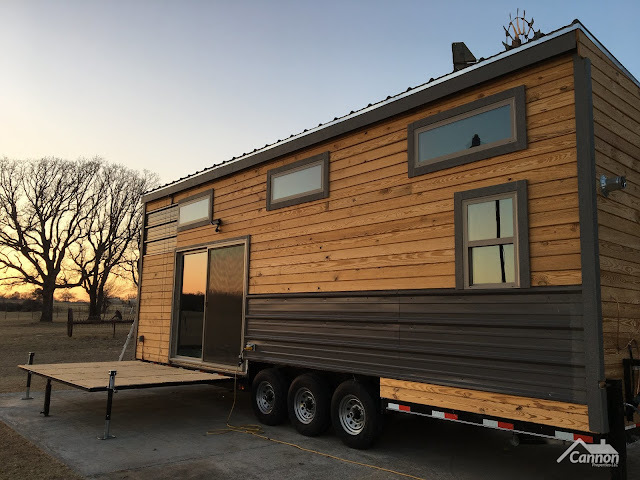 The home is built onto a 30' x 10'2" trailer with triple 7,000lbs axels. 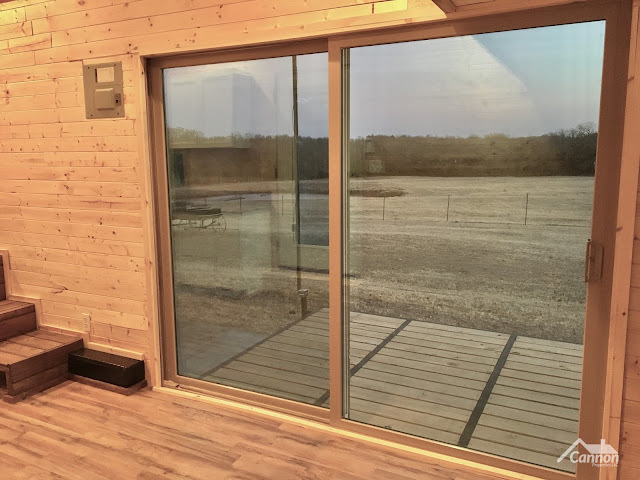 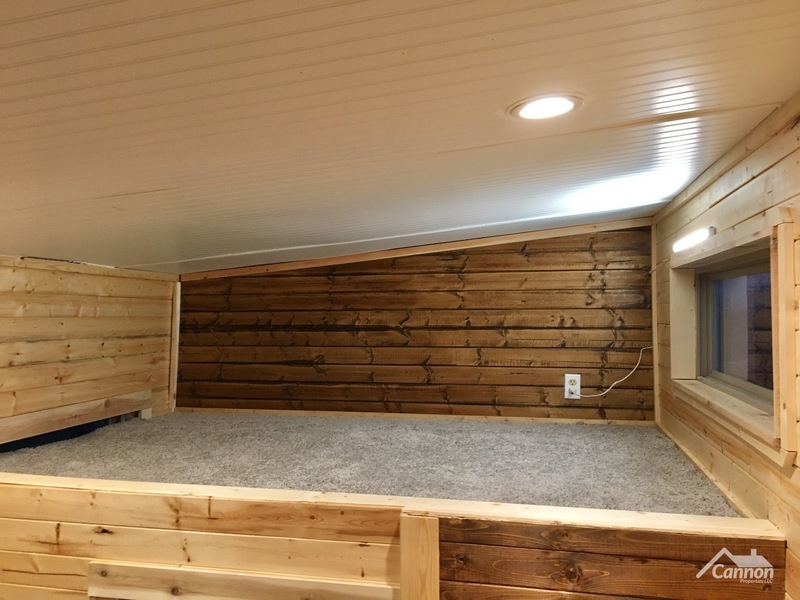 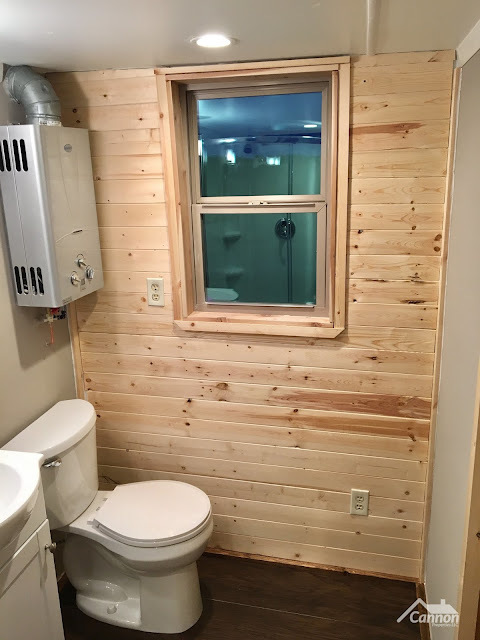 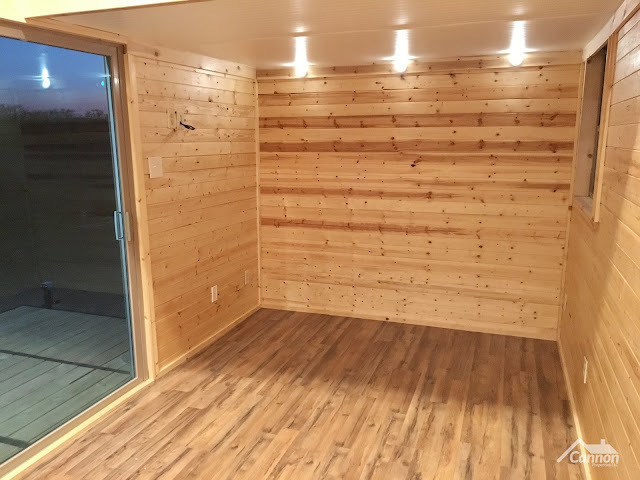 Its built with expert craftsmanship and features a pine shiplap exterior, a metal roof, and a folding deck. 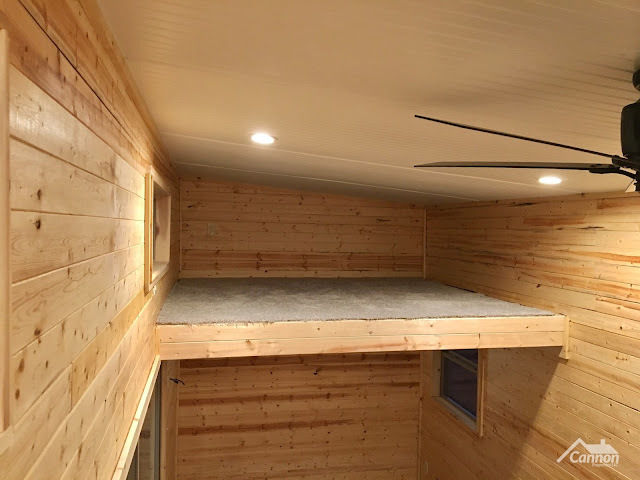 Inside continues the use of pine ship lap walls with a bright, open concept space and 11-ft ceiling. 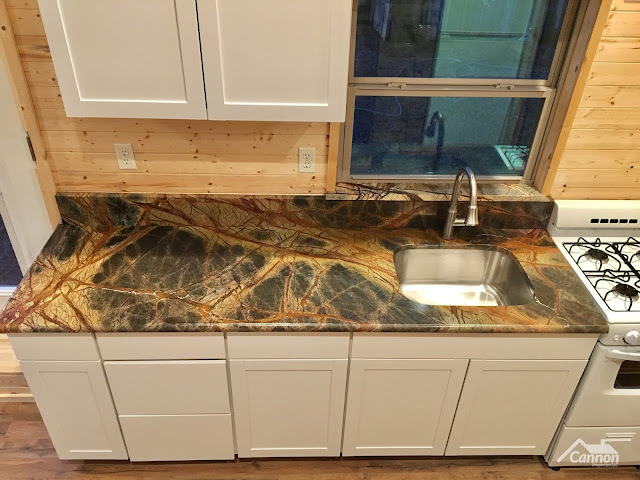 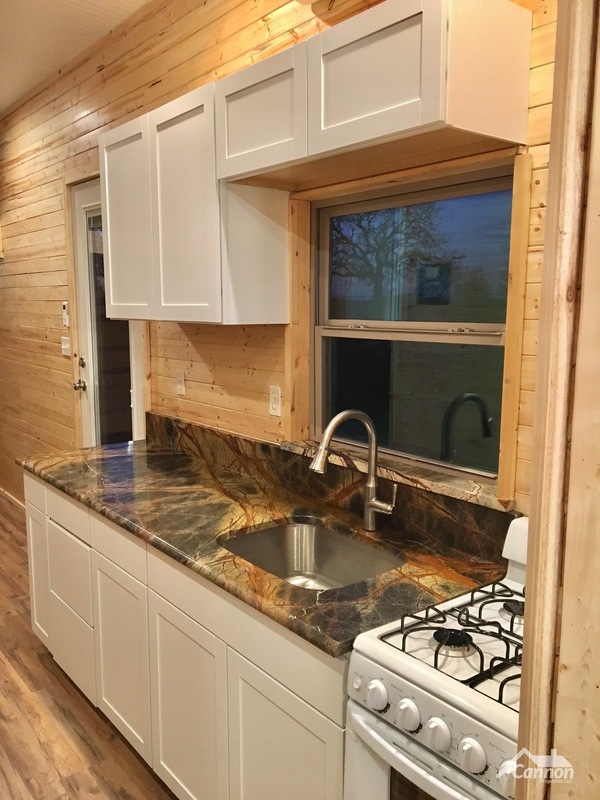 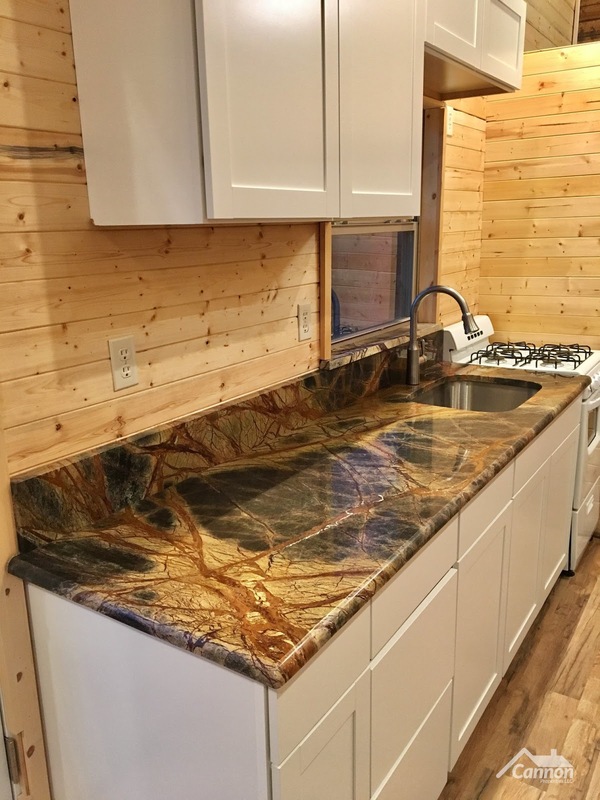 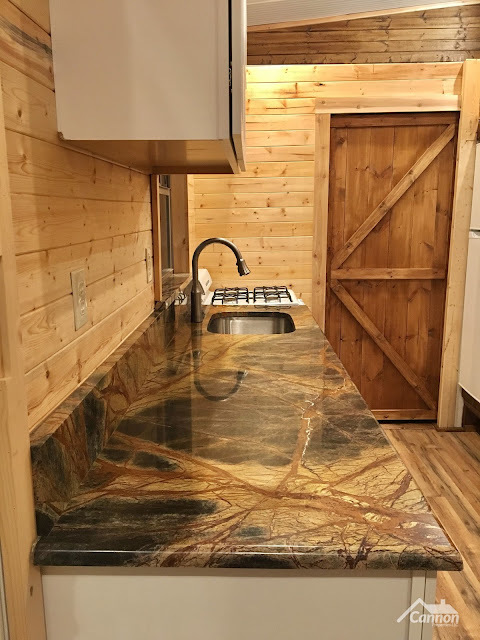 The kitchen comes with custom granite countertops, a propane range and tankless water heater, a full-sized refrigerator and a stainless steel sink. There are also two loft bedrooms, a bathroom, living room space, and heating and A/C! 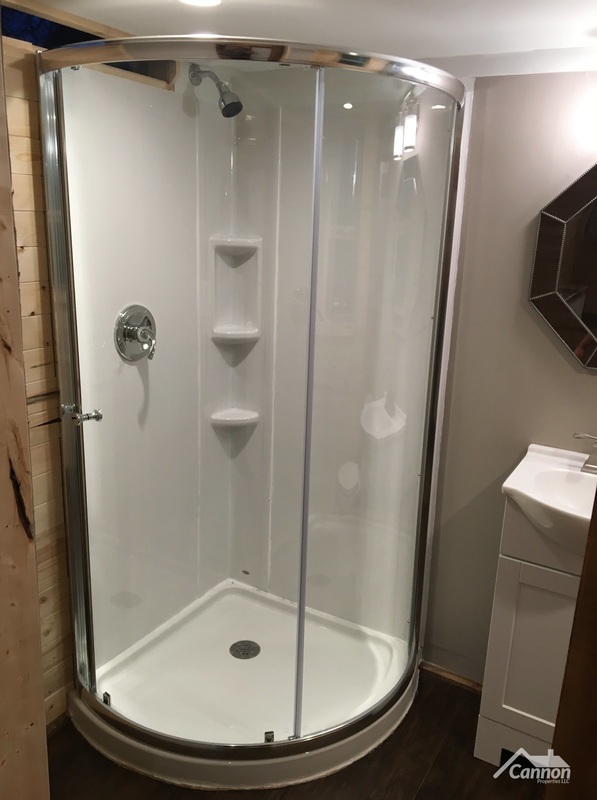 For more information on the home and/or the company, contact Cannon Home Builders here!